Dark Theory About CARS Confirmed By Pixar Executive? Cars has always been the odd man out of Pixar franchises. Not hated, but never receiving the universal praise most Pixar films get. In fact, Cars 2 sits at a low 39% on Rotten Tomatoes. Which is weird considering the same people behind some of Pixar’s most beloved films worked on it and it follows the Pixar formula of bringing to life any random object or animal. Although, there was always an eerie element hanging over the Cars films which made the series wholly different from the studio’s other works. In every other Pixar film we see normal human people to one degree or another, but never in Cars. It’s strange because tiny details seem to indicate humans were once there. We see the American flag at one point in Cars, all of the buildings seem to be designed for people, and we even hear one character say, “Thank the manufacturer!”. What could have happened to all of the humans? It turns out the explanation may be pretty dark for a series of kids movies. In a recent press junket the creative director of the Cars universe, Jay Ward, was asked, “Where do the cars come from?” His answer was, to say the least, surprising. 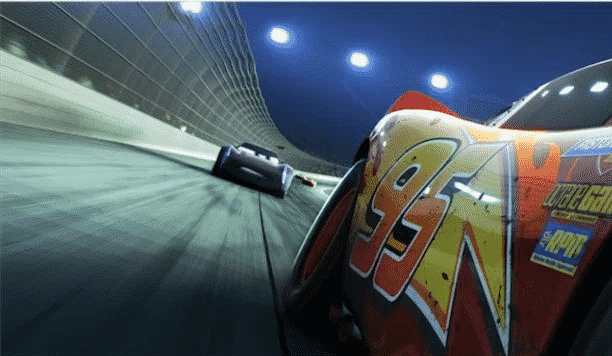 Is Cars just the first body horror movie from Disney? It is important to note that Ward offered this as more of an opinion, and neither Disney nor Pixar has stated his explanation is official. But it certainly makes the upcoming release of Cars 3 this coming June 16 a lot more interesting. What do you think of this theory? Is it too dark for the popular kids franchise? Let us know in the comments section below! Iconic Marvel Team-Up Coming For THE DEFENDERS?